Today, the Sixth Circuit Court of Appeals issued a ruling in United States v. Rocky Joe Houston, which challenged whether evidence from a camera pointed at Houston’s home for ten weeks without a warrant was admissible. It is. In late 2012, Houston’s local sheriffs informed the ATF that Houston was a convicted felon in possession of a firearm. The ATF tried to confirm that report by driving by Houston’s home, but their government cars stuck out too much and they didn’t get squat. Instead of sending agents there in a less conspicuous way, the ATF got the utility company to put a camera on a pole 200 yards away. Without a warrant, the surveillance continued for ten weeks. 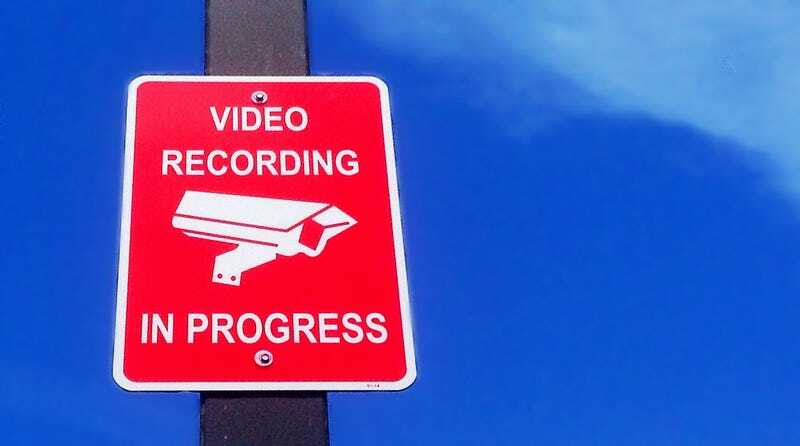 Then, in early 2013, while the ATF surveillance was underway, the Sixth Circuit ruled on an unrelated case that it had “some misgivings” about long-term, warrantless surveillance by a camera on a pole. As you can imagine, this reaction led to the ATF going and getting a warrant to keep watching Houston. Evidence from both the warrantless and with warrant periods of surveillance were eventually used to get Houston convicted. He appealed the conviction on the grounds that ATF had violated his Fourth Amendment rights. Today, the appellate court confirmed that the evidence was indeed admissible. These kinds of Fourth Amendment cases turn on whether or not there was an expectation of privacy. You need a warrant to go into someone’s home or use any kind of sense-augmenting technology in a search. However, whatever any random person walking by could see is fair game. Obviously, the government argued that what the camera was recording was the same thing any person in the same position would have seen (even though the camera had a zoom). The camera only caught Houston’s public actions because it couldn’t see into a building. The counter argument is that a human being couldn’t possibly record everything that happened for ten weeks without a break. But, according to the Sixth Circuit, this doesn’t violate the expectation of privacy because “it is only the possibility that a member of the public may observe activity from a public vantage point—not the actual practicability of law enforcement’s doing so without technology” that matters. The fact that the ATF could have gotten the same information without using a camera—a fact that comes from the testimony of an ATF agent—means that it’s okay that they did use a camera. All of which is a perfectly valid ruling, given the existing framework of the Fourth Amendment. What it reveals is that technology can change not only the expectation of privacy—i.e. that we should assume we are under surveillance at all times in public spaces—but also how easily law enforcement can take advantage of public spaces. You see, it’s really easy to videotape a man for ten weeks without a warrant. It is much harder to put agents in place to watch him for the same amount of time. Technology is tipping the Fourth Amendment balance way in favor of law enforcement. Regardless of the Sixth Circuit saying in this ruling that “if law enforcement were required to engage in live surveillance without the aid of technology in this type of situation, then the advance of technology would one-sidedly give criminals the upper hand.” Yeah, it’s this one dude in a trailer that would have the upper hand, not our hilariously over-provisioned police force. Houston and his brother Leon Houston reside on the “Houston family farm,” which is comprised of three adjacent properties. Houston resides in a red brick building, Leon in a trailer, and Houston’s adult daughter in a farmhouse. Billboards and hand-painted signs critical of government officials and depicting the dead bodies of a law enforcement officer and his civilian ride-along companion (the murders of whom Houston and his brother were tried, but ultimately acquitted) hang approximately twenty yards off the road. Is Houston awful for that? Yes, definitely. But that doesn’t necessarily mean that law enforcement gets to follow him around and wait for something to arrest him for. Especially when it’s so easy to do. The line between technology that augments the senses and technology which does the same thing a person could do is blurring. A drug dog coming to your front door without a warrant is a violation, hovering a drone above your house (as long as it doesn’t zoom in) isn’t. It might be time to redraw those lines.